In baseball, the word consistent is used about once every interview. Being at Coors Field all summer makes that last sentence not feel hyperbolic. As often as the staff and the players talk about staying consistent, when it comes to wins and loses, the Rockies aren’t achieving it. 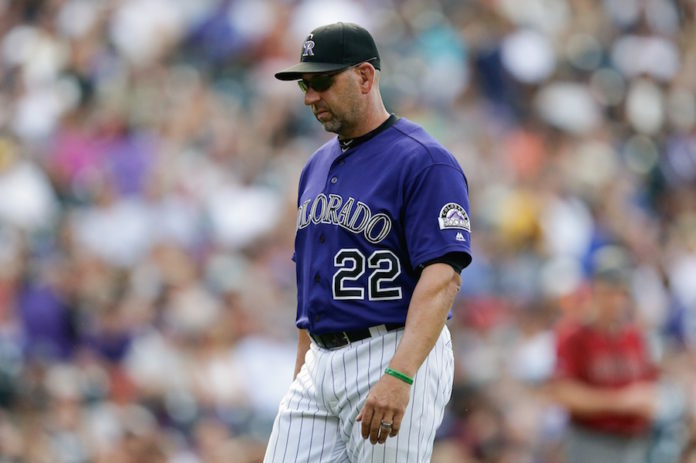 No matter the opponent, the Rockies seem to be playing to the level of their competition. In the month of August the Rockies went 12-10 against teams with records above .500. Some of those teams included the Dodgers, Nationals and Cubs, all leaders in their respective divisions coming into the last month of the season. But the Rockies went 0-6 against teams under .500. To be fair, the overall winning percentages against clubs over .500 and clubs under the mark isn’t glaring. Above .500 opponents are 42-40 against the Rockies. Fewer than .500 clubs are 30-26. But in games that are crucial down the stretch for a team who says they are vying for a playoff spot, these games are vital. 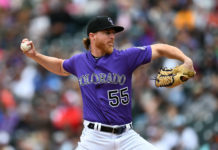 Getting swept by the Phillies and Brewers last month seems inexplicable, but the Rockies team leader may have an explanation. “I think it comes to be being more mature,” Carlos Gonzalez said. “We have a lot of young guys. Sometimes you play through the emotions with a packed house playing against the Cubs. Of course, there’s going to be a lot of energy. Then the next thing, you’re playing in Milwaukee, which is empty, and they swept us. The trend seemed to continue into September when the club dropped the series to the Diamondbacks and then the next day, shutout the Giants who are fighting for a playoff spot. The righty who threw that two-hit shutout against the Giants has an idea why this disparity persists. 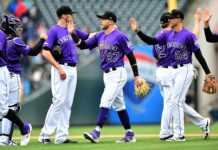 The low point of the season seemed to be when the Rockies talked about needing a tremendous start coming out of the break to have any hope of making the playoffs. They proceeded to lose the series to the Tampa Bay Rays. 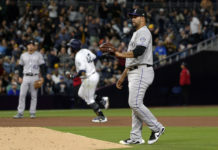 After a well-rounded win in the first game, they lost the last two games a combined score of 21-4 to a team at the time who had the lowest batting average in the American League at .239. But then the Rockies handled the Braves at home which propelled them to beat the Orioles and Mets on the road. The team came back home and had a legitimate chance to sweep the Dodgers. Manager Walt Weiss, who harps consistency the most, acknowledges the disparity but couldn’t necessarily pin point a reason for it. Winning against great clubs is one of the reasons this 2016 Rockies team is different than in years past. The inexperience has caught up to the club, and it’s something that will be a good foundation to improve on going into 2017. Fortunately for them, their leader of the future is already here.